Hunting bats, when the rest of us are hunting rays…. – Forest & Bird Hunting bats, when the rest of us are hunting rays…. Hunting bats, when the rest of us are hunting rays…. For many of us, the summer break probably consisted of sun, swimming, perhaps a little family drama … and just getting away from work for a while. Field officer, Debs Martin and bat expert Brian Lloyd bat hunting. 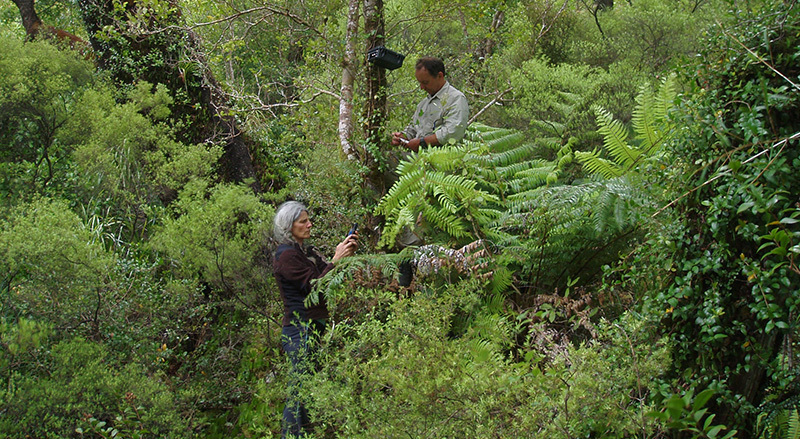 It was an opportunity to get away from work for Debs Martin, Forest & Bird’s Top of the South Field Officer, too … but only so she could do what she describes as some ‘real work;’ climbing through the thick forest of D’Urville Island, in the Marlborough Sounds, carrying out the final phase of a multi-year South Island bat survey, initiated by her, and scientist Dr Brian Lloyd. The two did think they might find some bats, otherwise they wouldn’t have been there. But what they did find could be described as – at extreme risk of being corny – better than any Christmas present Debs could ever have received…. not chocolate, not socks, not an ipod, but a very large colony of South Island long-tailed bats. Their roosts were set high up in the canopy, so it was impossible for the team to tell just how many there were, but Debs says the colony would have numbered in the hundreds. The find’s a major one, because South Island long-tail bats are close to extinction. One species of bats, the greater short-tailed bat, is already extinct. 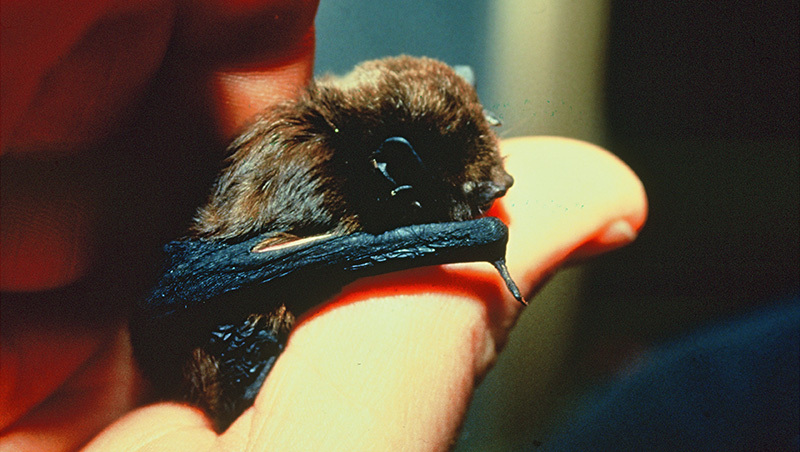 Prior to this find, there were only ten known colonies of the South Island long-tail bat in the South Island, with total numbers estimated at around 5000 – just a few feral cats away from disaster. So Debs’ and Brian’s find will make a big difference to the estimated chances of the species’ survival. But it’s not just those two who should take the credit; this, the last year of surveys, was made possible by the generosity of the late Colin Iles, who estate funded the latest round of work. Forest & Bird will now work with the local iwi – Ngati Koata – and DOC to make sure that D’Urville Island, which is free of possums and ship rats, stays at least as good a place for bats as it clearly already is. You can hear a recording of the bats here.